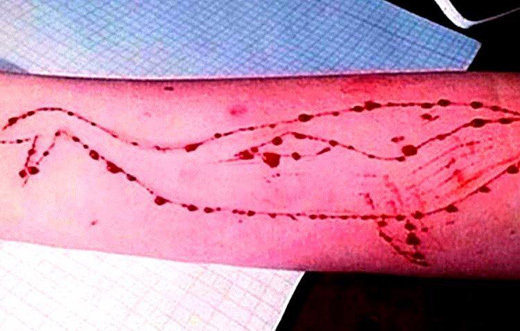 Mangaluru, Aug 23,2017: While ministers Tanvir Sait and Umashree have taken a pro-active stand to address the menace posed by ’Blue Whale’ challenge, a school in our city has taken head start on the same. Not waiting for any formal directive from department of public instruction, the school has decided to send a circular to parents warning them of the dangers that this online game poses to children and thereby ensure that they keep a closer watch on their wards. While opinion among principals of schools on the issue is divided, Lalana J Shenoy, principal, Canara Higher Primary School who convened the parent teachers’ association meeting said that it is better to be step ahead of the problem rather than react to it once disaster strikes. "Horrors of tasks in the game is liable to motivate children in an impressionable age vulnerable to ending their lives, is a rather disturbing for us to be cool in this regard," she said. The PTA by and large agreed that while the school will send out circular to students, it will also hold a separate parent-teachers’ meeting if the department so suggests. Incidentally, Tanvir Sait in a detailed note issued on August 21 to commissioner of public instruction, state project director, Sarva Shiksha Abhiyan, director, PU Education, additional CPI, Kalaburagi and Dharwad and director, KSEEB has already asked them to get proactive on this issue. The note refers to media reports on the perils that the challenge poses and hails the efforts in the media to create public awareness. Easy accessibility of the game to children in cyber cafes is a cause for grave concern, Sait says directing the department to issue circular to all deputy directors of public instruction and PU education and block education officers to create mass awareness among students through their respective schools. Steps suggested by Sait include publishing of handbills, banners, public advertisements making all stakeholders aware about the menace. It also directs the department of public instruction apparatus to seek cooperation of local police in dealing with its fallout. The minister also said a letter will be written to the departments of IT both at the state and centre seeking their help and cooperation in banning the game that has claimed lives of three teenagers in India thus far. What is this life threatening Blue whale challenge . It root of the game has to be pulled out.